When Sam Gleaves and Tyler Hughes first met at a party in West Virginia, it was rather fitting that music filled the room. As they started to talk, the two men realised just how much had in common. They had a similar taste in music, and had both already embarked upon a career as singer-songwriters. Sam Gleaves had released his debut album in 2015, and already his music was started to find a wider audience. Tyler Hughes had just graduated from East Tennessee State University in 2015 with a Bachelor’s Degree in Bluegrass, Old Time and Country Music Studies in 2015. Now he was dividing his time between his solo career and working with the Empty Bottle String Band. Despite his already busy schedule, Tyler Hughes would soon embark upon a new project with his new friend Sam Gleaves. At first the pair played live locally, and in doing so, continued the tradition of duet singing that for many generations, has been a feature of Virginia. 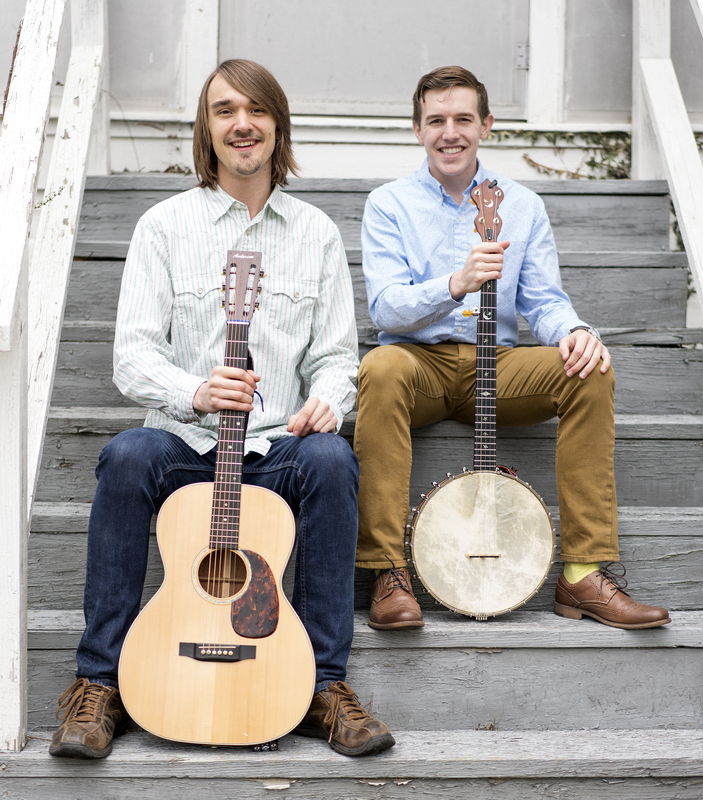 Their tenor voices, Sam Gleaves’ guitar and Tyler Hughes banjo proved a potent, powerful and popular combination as they brought some of their favourite songs to life. Eventually, the pair decided that the next step was to record an album tougher. 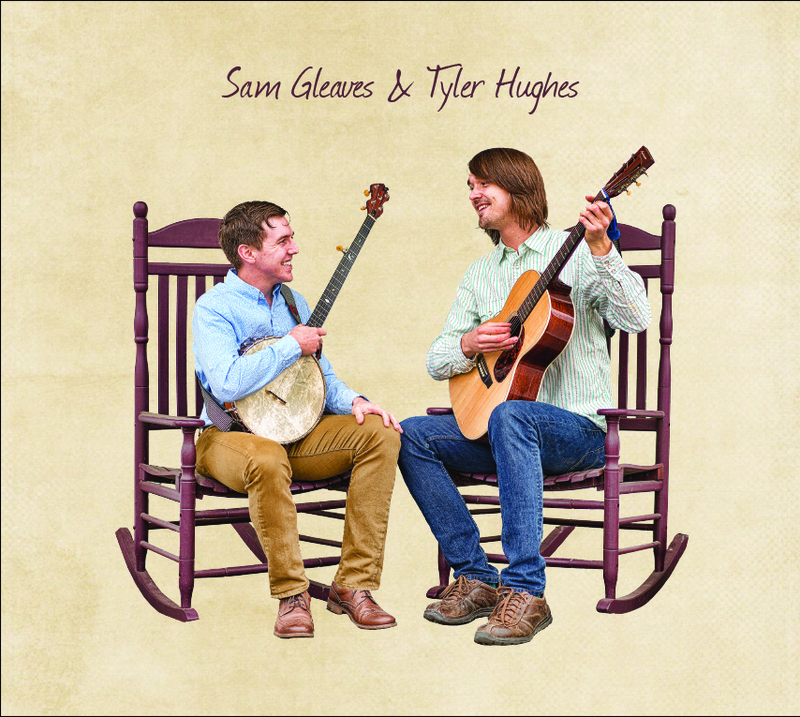 Just a few days ago, they release their eponymous debut album Sam Gleaves and Tyler Hughes on Community Music Records. It’s the next chapter in the story of two young and talented musicians from South Western Virginia. That is where Sam Gleaves and Tyler Hughes were both born and brought up. Sam was born in Wytheville, Virginia, and growing up, was steeped in the traditional Appalachian music. He was fortunate to be mentored by some of the leading exponents in Appalachian music including Jim Lloyd and ballad singer Sheila Kay Adams. These musicians would later influence Sam when he embarked upon a career as singer-songwriter. Before that, Sam graduated from Berea College with a degree in Folklore from Berea College. However, during his student years, he spent four years as a member of the Berea College Bluegrass Ensemble. This was all part of his musical education. some of the biggest names in folk and country music, ranging from Cathy Fink and Marcy Marxer, to John McCutcheon, Si Kahn and Peggy Seeger. For Sam, whose star was in the ascendancy, playing alongside such big name musicians was invaluable experience. Especially as Sam had decided to record his debut album. He went into the studio with Cathy Fink, who produced what became Ain’t We Brothers. When it was released in late 2015, it received praise and plaudits, and was played on NPR. Before long, Ain’t We Brothers started to be heard by a much wider audience. By then, great things were being forecast for Sam. Appalachian novelist Lee Smith described Sam as: “the best young songwriter around . . . courageous as hell and country to the bone.” This was high praise for Sam, who looked as if he was well on his way to enjoying a successful solo career. Things changed after Sam’s chance meeting with Tyler Hughes. After that, Sam was juggling his solo career with his partnership with Tyler. Just like Sam, Tyler Hughes is a native of Virginia. However, Tyler was born and raised in Big Stone Gap, a small town which is situated in the Appalachian mountains in Southwest Virginia. By the time Tyler was twelve, his love affair with old-time and country music had already began. Soon, he was performing locally, and as the years passed, he would perform across the East coast. At home, Tyler spent his time listening to the old-time, bluegrass, and country music that is still hugely popular in Southwest Virginia. It was something that he was passionate about. So much so, that when Tyler headed to East Tennessee State University, he had enrolled on a Bachelor’s Degree in Bluegrass, Old Time and Country Music Studies. Over the next few years, Tyler immersed himself in the music that he had spent much of his life playing and listening to. In 2015, Tyler graduated with a Bachelor’s Degree in Bluegrass, Old Time, and Country Music Studies. After returning home to Big Stone Gap, Tyler embarked upon a career as a singer-songwriter. He was also a member of the Empty Bottle String Band, who were based in Johnson City, Tennessee. Playing with the Empty Bottle String Band, and trying to establish himself as a singer-songwriter took up much of Tyler’s time. Despite this, when he received an invitation to a party in West Virginia, Tyler decided to accept the invitation, and enjoy some downtime. As Tyler arrived at the party, just like every party in Virginia, music filled the air. Not long after he arrived at the party, Tyler started talking to another guest. This was Sam Gleaves, and soon, the two men realised that they shared much in common. Both men were from similar backgrounds and grew up within similar circles. However, the main thing Tyler and Sam had in common, was their love of music. Tyler remembers: “we loved all the same people,” recalls Tyler. “We had all the same major influences and admiration…It’s not too often you meet young men from our area who love Jeanette Carter, or some of the other people who wrote the songs on our album.” Sam recalling the first meeting remembers: “we were drawn to the same kind of expression.” This was no surprise. Both Tyler and Sam had grownup in similar communities, where they learned to play the music they loved. In Sam’s case, this was a guitar, while Tyler gravitated towards the banjo. After Tyler mastered the banjo, he started to play live, singing and accompanying himself on the banjo. Still, Tyler found time to enjoy flatfooting, a traditional Virginian percussive dance tradition. This was all part of the region’s musical and cultural heritage, that Tyler embraced and enjoyed. Meanwhile, Sam’s solo career was blossoming after the release of his debut solo album Ain’t We Brothers. This was a mixture of songs penned by Sam and some traditional songs. When it was played on NPR, they hailed the album a: “traditional revolution” in Southern roots music. This was high praise, considering the area’s musical tradition. Southwestern Virginia has long had a tradition for producing progressive singers and songwriters. Just like local historians, they’ve observed and documented life in Southwestern Virginia for countless generations. The way that these local storytellers do this differs. Some songs are bleak portrayals of the hardship and travails of life, while others are heartfelt and full of compassion. Other songwriters use humour as they tell their stories. However, many of these songs can be heard for the first time at local parties. These aren’t lavish affairs, that take place in some parts of America. Instead, they take place in local people’s homes in Southwestern Virginia. Families and neighbours gather together, and when it comes time for everyone to dance, they head to the parlour. The furniture is pushed to the side of the room, and carpets roll up. 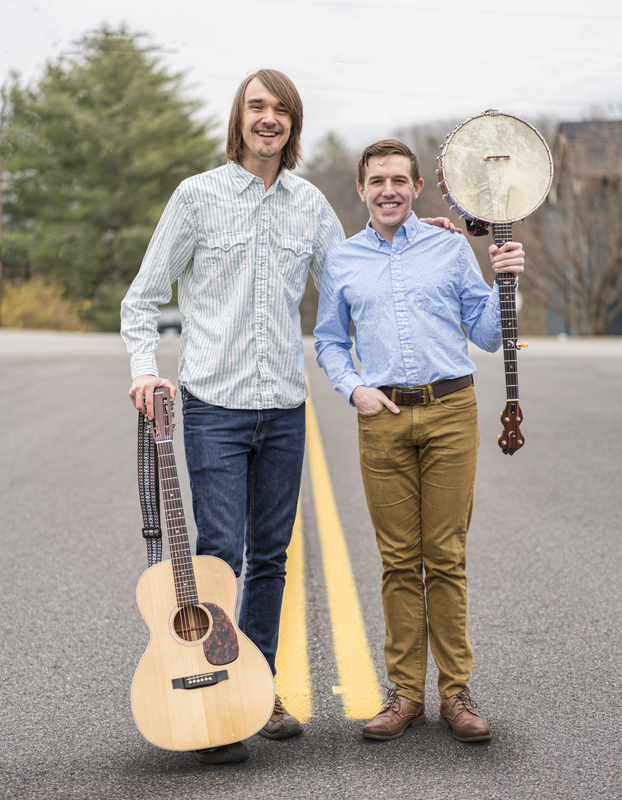 A bidding singer-songwriter like Sam or Tyler in years gone by, will entertain the guests with their songs chronicling local life and sometimes, love and love lost in Southwestern Virginia. This is an old tradition, and one that continues to this very day. Tradition plays an important part in daily life in Southwestern Virginia. Especially when it comes to music. Sam Gleaves and Tyler Hughes are proof of that. Having met and become friends, the next step was start singing together. Soon, Sam and Tyler were continuing an age-old tradition of duet singing. This has long been part of a Southwestern Virginia’s musical heritage. Straight away, it became apparent that Sam and Tyler were perfectly suited to duet singing. Their tenor voices blended together perfectly, while Sam’s guitar and Tyler’s banjo provide the perfect backdrop. Soon they became a popular live act on the local scene as that showcased the music of the Appalachia region. This music is rich and diverse, and Sam and Tyler were already practised exponents. They were the latest generation to showcase this cerebral, eloquent, heartfelt, intelligent and thought-provoking music. Many of the songs that Sam and Tyler played live, had already been played by several generations of musicians. The pair it seemed, were walking a road that was already well-travelled. Despite this, they managed to bring something new to the music. To do this, Sam and Tyler drew inspiration from those that had mentored them, and the singers and songwriters that had gone before them. This brought them success in a relatively short space of time. So much so, that Sam and Tyler decided that it was time for them to record their debut album. Given the rise in their popularity, this made sense. When it came to choosing the songs for the album, the pair wanted to choose songs that spoke about life in South Western Virginia and the people who lived there. For the album, Sam wrote Stockyard Hill and Tyler contributed When We Love. Sam and Tyler decided to cover two well-known two traditional songs, Georgia Row and Mister Rabbit. They were joined by Wade E. Mainer’s I Can’t Sit Down; James Oppenheimer’s Bread and Roses; Tom T. Hall’s I Washed My Face In The Morning Dew; Kate Peters Sturgill’s My Stone Mountain Home and Maybelle Carter’s Lonesome Homesick Blues. Other tracks included Boudleaux Bryant’s Well I Guess I Told You Off, Janette Carter’s Living With Memories and Anndrenna Belcher’s Mama Paint Me A Picture. The other tracks included Sleepy Eyed John and Tear Down The Fences. These songs were recorded with a familiar face. This was none other than veteran roots singer, songwriter, musician and producer, Cathy Fink, who had previously produced Sam’s debut album Ain’t We Brothers. She returned to produce and later, mix Sam and Tyler’s debut album. This was something she was keen to do, having been impressed by how dedicated Sam and Tyler when they sung together. “When I heard them sing together, one of the things I loved from the start was the continuous respect, the love of tradition they feel, and what it can bring to us today.” Sam and Tyler were determined to bring new life to the songs, and ensure that they remained relevant. When the sessions began, they were unlike many sessions Cathy Fink had worked on. It was just Sam and Tyler that entered the studio. Not only did they lay down the lead vocals and add harmonies, but both men were talented multi-instrumentalists and played all the instruments on the album. Sam played guitar, baritone guitar and mandolin. Tyler played banjo, gourd banjo, autoharp and played guitar on Well I Guess I Told You Off and Mama Paint Me A Picture. Together, the two multitalented musicians with the help of producer Cathy Fink and recordist Jim Robertson had recorded what would later become Sam Gleaves and Tyler Hughes. Eventually, Sam Gleaves and Tyler Hughes was released in mid-June 2017. The two friends had come a long way since they first met at that party in West Virginia. They had recorded a captivating and powerful album that the music was relevant to life in 2017. This was something that Tyler wanted to do. He explains: “like a majority of people, I was quite disappointed with the ways of the world in 2016…Seeing this wave of anger brought to the surface of society, and not just here, but abroad as well. I thought about how people really don’t mean to bring such hate to the surface. Often humans are self-centred, we don’t think of how our words and actions affect those around us. I tried to address some of those thoughts.” This he managed to do on When We Love, a carefully crafted song with a positive message. It showcases Tyler’s skills as a songwriter, and impressed his Sam. He remembers: “in so few words, he stated this welcoming message. I was inspired by this.” However, to augment the two songs that Sam and Tyler had penned: “we included older songs addressing political concerns, and we wanted our original tunes to dovetail with that.” This they have managed to do successfully, in such a way that the music on the album isn’t just relevant to people from South Western Virginia, but much further afield. That is apparent throughout Sam Gleaves and Tyler Hughes. Many of the songs on Sam Gleaves and Tyler Hughes feature understated arrangements. It’s a case of less is more, including on Stockyard Hill, which opens the album. It was penned by Sam, and incorporates the words of his great-aunt, which are transformed, and become an uplifting song about Appalachian life. This gives way to Tyler’s hopeful sounding song When We Love. Again, it features an understated backdrop which allows Sam and Tyler’s tender, heartfelt vocals and close harmonies to take centre-stage on this beautiful, hopeful song. Georgia Row is the first of two traditional songs. Just a guitar, banjo and fiddle accompany the vocal on a song that is a reminder of Virginia’s rich musical heritage. So is Mister Rabbit, where Sam and Tyler resist the temptation reinvent the wheel. Instead, they stay true to original, as they incorporate elements of blues and folk. Staying true to a song is important for Sam and Tyler. Sam describes how they recorded the songs on the album: “usually one of us knows the song by heart…One of us will learn the whole song and one of us will sing it, backstage or around the house. We learn from each other in person, not by sending links via email. I find learning this way is so much better and more enjoyable.” This way of working has proven to be successful for Sam and Tyler. Especially on the joyous and spiritual sounding I Can’t Sit Down, which features some of Sam and Tyler’s best vocals. They feed off each other and reach new heights. Sam and Tyler then deliver a powerful and poignant cover of the labour anthem Bread and Roses. This gives way to another powerful and moving song, the oft-covered I Washed My Face In The Morning Dew. Here, Sam and Tyler bring to life the sadness, injustice, cruelty and sheer hypocrisy in the lyrics. Then on My Stone Mountain, there’s a yearning in Sam and Tyler’s vocals as if they can understand and relate to missing somewhere so badly. It’s a similar case on Lonesome Homesick Blues which features some of the best close harmonies on the album. Sam and Tyler sound as if they’ve experienced the loneliness and feeling homesick in the lyrics. The result is a heart-wrenching reading of lyrics that many people will be able to relate to. This is just the latest in a long of moving, emotive and poignant songs. Sam and Tyler then stay true to original version of Well I Guess I Told You Off, which was written by Georgia born Boudleaux Bryant. They deliver a mischievous rendition of the song that is tinged with humour. It’s followed by two beautiful, poignant ballads Living With Memories and Mama Paint Me A Picture. On both songs, Sam and Tyler deliver a tender, heartfelt and rueful vocals. Sleepy Eyed John is a reminder of the type of song that will be heard at a party in South Western Virginia. As the fiddle drives the song along, Sam and Tyler trade vocals. Closing the album is song that is particularly relevant Tear Down The Fences. It’s a call for people to find common ground that was written by bluegrass legend Ola Belle Reed. She has inspired both Sam Gleaves and Tyler Hughes, so it’s particularly fitting that one of her song closes the album. After fourteen songs lasting just thirty-nine minutes, Sam Gleaves and Tyler Hughes debut album draws to a close. It features two truly talented singers, songwriters and musicians, Sam Gleaves and Tyler Hughes. They showcase their considerable talents and versatility on their eponymous debut album. Sam Gleaves and Tyler Hughes seamlessly flit between and combine elements of disparate musical genres. This ranges from folk and country, to blues and bluegrass. They’re part of an album which is a mixture of ballads and uptempo songs. They sit side-by-side, and Sam and Tyler are equally comfortable as delivering ballads as the uptempo songs. However, Sam Gleaves and Tyler Hughes are at their best on the ballads, where they breathe life, meaning and emotion to the songs. The majority of songs on Sam Gleaves and Tyler Hughes are cover versions. Sam Gleaves and Tyler Hughes only contribute one song each. This is enough to realise that they’re both talented songwriters. Maybe on their sophomore album, they’ll include more of their own compositions? 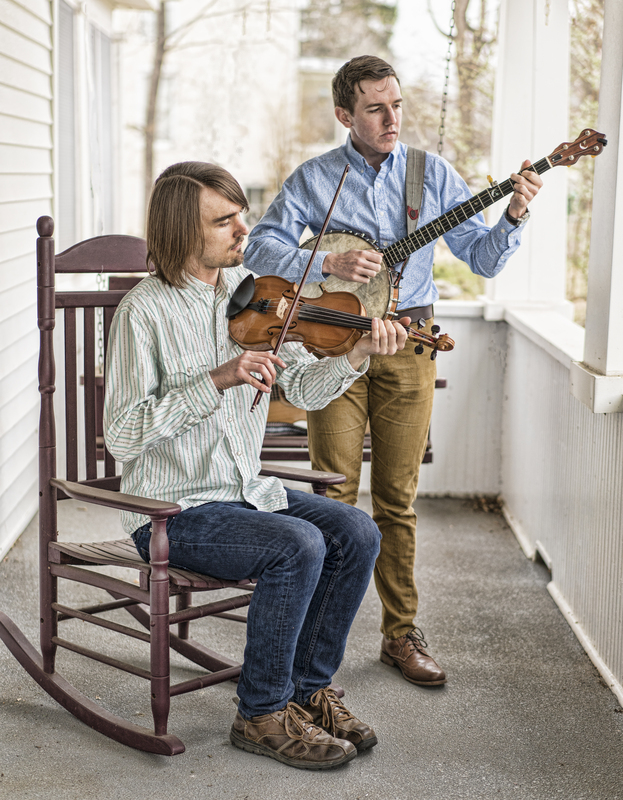 However, on Sam Gleaves and Tyler Hughes the pair wanted to include songs are part of Virginia’s rich musical heritage. Some of the songs are full of social comment, while others deal with subjects like homesickness, loneliness and the past. These songs aren’t reinvented and Sam Gleaves and Tyler Hughes stay true to the originals. Tradition is important to Sam Gleaves and Tyler Hughes. Cathy Fink who produced Sam Gleaves and Tyler Hughes confirms this. “Studying tradition can help a songwriter learn how to take an important issue and translate it into a very universal song, when serendipity and luck mixes with a deep knowledge and love of tradition. It’s important that song is mixed in with traditional and tradition-based music. It’s all of a piece.” This has influenced their eponymous debut album and played its part in its sound and success. Hopefully, will continue in the future. Sam Gleaves and Tyler Hughes cherish and embrace their musical heritage. It’s something that they’re both proud of, and something has influenced their eponymous debut album. This ranges from the songs that they’ve chosen, the type of instruments that they used and their decision to continue the tradition of duet singing. Sam and Tyler are perfectly suited to duet singing, and their rich tenor voices blend together perfectly on their eponymous debut album. Meanwhile Sam’s guitar and Tyler’s banjo provide the perfect backdrop for their vocals. It’s no surprise that they were soon a popular act on the local live scene, as they showcase the music of the Appalachia region. Its music is rich and diverse, and Sam and Tyler are already practised exponents as they showcase the beautiful, cerebral, eloquent, heartfelt, intelligent, poignant and thought-provoking music on Sam Gleaves and Tyler Hughes. ← Katharina Grosse and Stefan Schneider-Tiergarten.